When you send a cold email there are a few things you need to remember. The first one is that (most likely) your customer gets cold email all the time from everybody under the sun, trying to sell them something. The key is cutting through the clutter and getting past their “B.S.” filter. Everyone does cold email the same. They all start with the same boring greeting, and most of them talk about how great they are. You need to interrupt the patterns they’re used to. You need to stand out. In this article, you’re going to learn three ways you can be different from every other cold email your customers get. I like these because, truth is, you’re emailing them out of the thin air. By apologizing right off the bat and saying “Hey look, I’m sorry”, essentially what you are telling them is “I am sorry that I am sending you this cold email, I know you get a ton of them”. You are being upfront and honest with them. The next line is really important because it is your chance to get your reader to develop an immediate connection with you. This is where you can be really upfront and honest with your reader (again). You got their name from a list, there is no reason in hiding it. I’ve had a lot of success with this opening line. You’re bringing up the elephant in the room, which is that you don’t know them, and then you bring in a little humor and honesty. The next thing you want to focus on is your offer. What is it that you can help them accomplish? What pain can you solve? We help (business type) get (specific result they want) without (the things they fear most). We help circuses sell more peanuts without having to hire more clowns or lowering prices. If this is a problem they currently have, this will get their attention right away. See what we’ve done here? You’ve been honest and upfront, you’ve made them laugh (or at the very least, smile) and then you’ve told them you might be able to solve a problem they have. If your client does have that problem, they will contact you. If they don’t, that is not someone you want to talk to. Last but not least: have fun in your email. I send GIFs. I send funny memes and images. It gives you a chance to show that you have some personality. Being fun doesn’t mean that you have to be a professional comedian. It doesn’t mean that they’ll end up rolling on the floor laughing. f you include some of these things in your email you will see an immediate increase in the number of responses you get. You might be thinking “comedy won’t work in my industry because I sell Dowiggles and the guys that buy Dowiggles are serious folks”. Comedy doesn’t work in certain situations, but there is no specific person where comedy or humor doesn’t work on. Everybody likes to laugh. Everybody likes humor. Even if you are selling to funeral homes, you can still have fun in your email. The best part is, it’s something that industry most likely isn’t used to, so you’ll stand out. You will have fun writing it, they will have fun reading, you will automatically build the connection, and your inbox will fill up with responses. First get them to open your email with a simple but intriguing subject line, then build trust and likeability a with them in the opening line. One part humor, two parts honesty. Try testing different offers in your cold emails to see what works best. Once you start incorporating these elements into your emails, cold emailing will not only be more fun (for you and your prospect) but also you’ll fill your inbox with people wanting to meet with you. 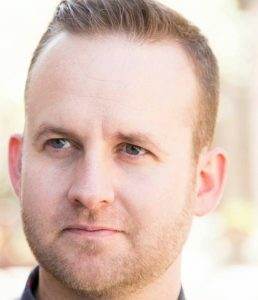 Aaron Krall runs SaaS Growth Hacks in Salt Lake City, Utah, US and has worked with Multibillion dollar Floated businesses as well as Startups. You can find a tonne of resources and information about Aaron on his website, and 3,000 strong Facebook group.